Quick trick from local pub (hence excuse poor sound quality and over-hyped facial expressions!). Filmed 2008. Picture from fundraising event at 3 Horseshoes Pub, Nr Bishops Stortford, Herts in 2001. After several years running our website on an outdated system, we have finally updated the site to a more modern (and interactive) format! 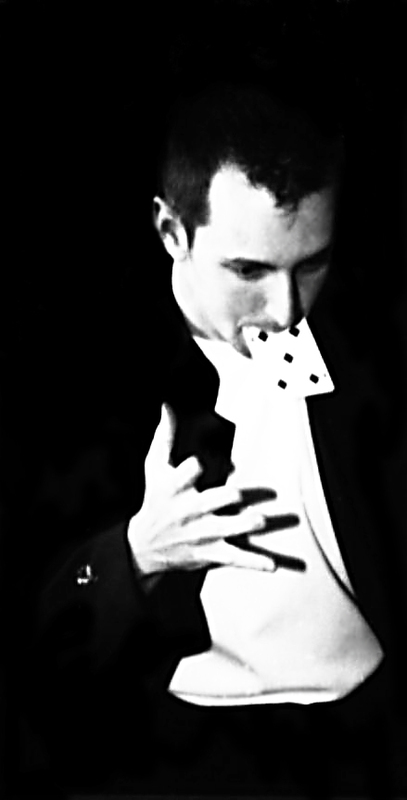 The e-mail and web addresses (ken@firstmagic.co.uk, http://www.firstmagic.co.uk) remain the same, as does the great close-up magic and personally tailored service! Please note the new contact number for bookings and enquiries. Hopefully this page will be tagged with future updates, info, pictures and video links, so check back often.